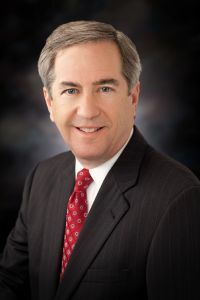 Richard M. Kaplan - Weycer, Kaplan, Pulaski & Zuber, P.C. Attorney - Weycer, Kaplan, Pulaski & Zuber, P.C. Listed as one of Houston's top lawyers by HTexas magazine. He and his wife Sherrie have been married for 38 years, and have three grown children. For over thirty-eight years, Mr. Kaplan has provided legal representation in all aspects of business transactions, commercial litigation and mediation. He has broad experience in state and federal civil litigation, including claims involving complex commercial litigation, real estate, fraud, deceptive trade practices, negligence, landlord/tenant, eminent domain, tortious interference, construction cases, and family law involving financial issues. He has represented plaintiffs and defendants in virtually all aspects of civil litigation. He has argued in the State's Appellate Courts and in the United States Court of Appeals for the Fifth Circuit. Mr. Kaplan has also represented title insurance agents and underwriters, and insureds under title insurance policies. In addition to his trial experience, Mr. Kaplan has regularly assisted clients in a wide range of significant commercial transactions in the banking, real estate, insurance, corporate and franchise areas, as well as work out and restructuring. His clients range from major corporations to small businesses to individuals. 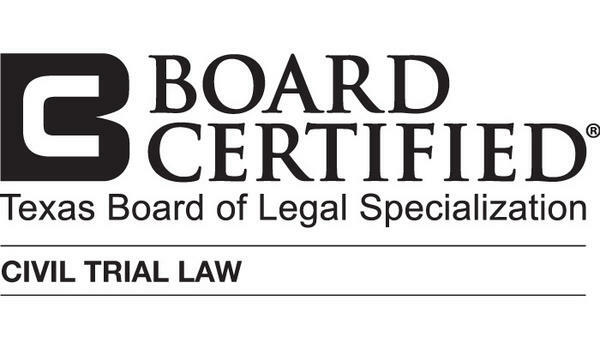 He has also been trained and certified as a mediator, and has successfully mediated all types of disputes and lawsuits. He has extensive experience in virtually every kind of commercial transaction, in and out of the courtroom. Representation of financial institution in defense of claims by Borrower for fraud and misrepresentation arising out of real estate loans. Counsel for Subcontractor regarding litigation and settlement of Owner’s, General Contractor’s and Surety’s claims for defective construction involving Condominium development project. Counsel for large regional food fast franchisor involving wide range of litigation, employment and real estate issues. Counsel for title insurers seeking declaratory judgment against Property Owners in coverage dispute. Representation of majority shareholder in claims brought by minority shareholders. Representation of Bank in action brought by nationwide produce suppliers under the Perishable Agricultural Commodities Act for breach of fiduciary duty and fraud. Representation of Shopping Center Owner in defense of claims brought by Tenant for breach of contract. Representation of Shareholder in defense of Claims to pierce the corporate veil, establishing personal liability for corporate debts. Representation of shareholders in connection with claims brought by multiple nationwide produce suppliers for personal liability under the Perishable Agricultural Commodities Act. Representation of shareholders in defense of license revocation by the Department of Agriculture under the Perishable Agricultural Commodities Act. Representation of water district in claims for breach of contract and negligence against general contractor for installation of underground facilities. Representation of multiple individuals in connection with dissolution of business entities. Counsel for Board of Directors in defense of claims for breach of fiduciary duty brought by minority shareholders. Representation of Landlord in claims against former tenant and guarantor for fraudulent transfer of assets. Representation of oil supplier in defense of claims by former employee for breach of contract and wrongful termination. Representation of Bank in defense of claims for forged endorsements. Representation of Restaurant Chain in defense of non-subscriber claim by former employee. Representation of Purchaser against Seller of property for fraud and misrepresentation. Representation of Borrowers in lawsuit brought by the FDIC for fraud and misrepresentation. Representation of estate executor in defense of large claim for services provided by Hospital. Representation of Bank in dischargeability claim in Bankruptcy Court. Representation of wholesale distributor in breach of warranty claims brought by retail dealers. Representation of flooring manufacturer in claim for breach of warranty by Homeowner. Representation on business brokers against Seller of radio stations for breach of contract.